Captain Carlisle Hugh Childress, USNR (Ret.) passed away peacefully at home surrounded by his family April 23, 2018. He was 84 years old. Hugh was born in Foley, Alabama, on November 30, 1933, to Gladys and Carlisle Childress. He graduated in 1951 from Foley High School and attended Auburn University before enlisting in the Navy to become a Naval Aviator. 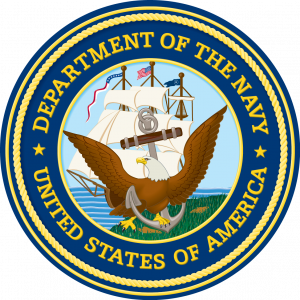 During his naval career he served as commanding officer and executive officer as well as an area commander. He earned several honors including the Vietnam Service Medal, Distinguished Flying Cross and the Presidential Unit Citation ribbon. Hugh’s military career stretched over 28 years during which he lived in many states and countries including Alabama, California, Florida, Illinois, Louisiana, South Carolina and Texas as well as Morocco and South Vietnam. Most of these appointments were with his wife of almost 51 years, Sue Kagler, and four children at his side. Hugh retired from the Navy in 1981 and soon after he and his family returned to Gulf Shores where they resided until Sue passed in 2007. Hugh married Patricia Ann (Patty), and they lived in Magnolia Springs, where he enjoyed spending time on the water with family and friends and talking about his days as a pilot, especially recalling flying the Huey helicopter. He is predeceased by his parents, Gladys and Carlisle; his first wife, Sue; sister, Becky Childress Walter; and his brother Kenny. He is survived by his wife Patty, his four children, Christy Childress Erb (Jordin), Greg (Ann), Edward (Bridget) and Tom (fiance Michelle Sandell), his stepchildren Pam Houser Reaves (Craig) and Ross Houser (Taylor). Also survived by his sister-in-law Janice, and grandchildren, Caroline Erb; Andrew, Katie, Matthew, Nathan, Jake & Maddie Childress; Laurel Downs (Thomas); Grant Reaves (Lawren); Ruby, Jackson & Carlisle Houser and two great grandchildren. Family and friends are invited to attend a memorial service on Friday, April 27 at St. Paul’s Episcopal Chapel in Magnolia Springs, AL. Visitation will be at 10a.m. and the service will begin at 10:30 a.m. The burial will be held following the service at Pine Rest Memorial Park. The family asks in lieu of flowers, donations be made to St Paul’s Episcopal Chapel, P.O. Box 2, Magnolia Springs, AL 36555.